Home Unlabelled PCW, KBP and DDB come together to educate the masses on catcalling through “the Macho choir"
PCW, KBP and DDB come together to educate the masses on catcalling through “the Macho choir"
There's still a good chunk of people who, unfortunately and surprisingly, don't see the distinction between a compliment and harassment. It's sadly no secret that many Filipinas fear for their safety in public spaces, many revealing experiencing street harassment from an early age. In time for the 2018 18-Day Campaign to End Violence Against Women (VAW) from November 25 to December 12, the Philippine Commission on Women released radio plugs that turn the spotlight on a kind of VAW that often happen in public places but usually dismissed as just a “compliment” – catcalling. Dubbed as “The Macho Choir”, the radio campaign created by the talents of DDB Group Philippines, used three songs from our childhood that replaces the lyrics with messages against catcalling to emphasize that catcalling is a kind of sexual harassment and it is no laughing matter. Featured in this radio campaign are the songs “Sit(sirit)sit”, “P.T.B.U” and “T(s)ong t(s)ong” All three radio plugs were aired in AM and FM radio stations throughout the country. “Yearly, DDB Cares, our CSR arm donates 20 million pesos worth of hours creating communication materials that are important to the hearts of our people, particularly, the causes that involves women and children, education and the environment. The practice started from our founder, Bill Bernbach in 1949, who I quote said, 'we, the professional users of mass media, have the social responsibility to uplift the society to a higher level.' Cat-calling is a juvenile act of men, however, may be terrifying for women. 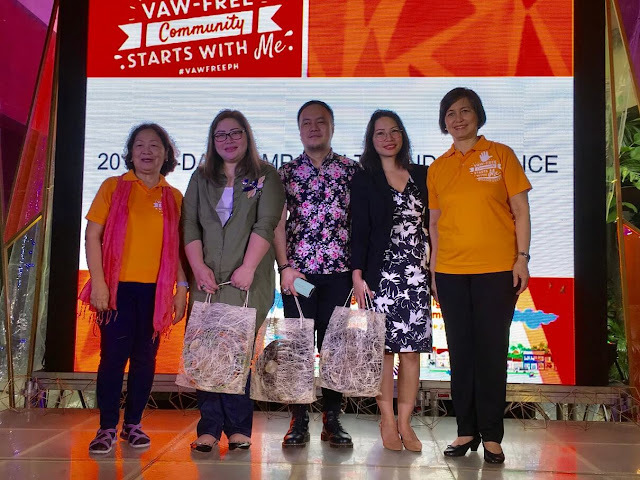 We hope the nursery songs, we learned as children will stick in the minds of the listeners, reframe their views, and reflect on how to treat women before they act,” shared by Chief Culture Officer of DDB Group Philippines, Anna Chua-Norbert. “Having daughters, granddaughters, sisters, nieces and many female employees, we are aware that it can be exhausting, frustrating and even terrifying to be a woman in this country. This is the sad reality. It is to everyone’s benefit when we can all live in a society that treats women, and children with the same level of respect we give to men. The Radio Ads are a reminder that strong people, do not need to put people down to make themselves feel powerful. The consistent strong partnership with the Philippine Commission on Women is a testament to our worldwide belief, Gender equality is not a female issue, it is humanity’s challenge, with the help of my creative partners, I hope to see solved in my lifetime.” Gil G. Chua, DDB Group Philippines Chairman and CEO shares. At the start of the campaign, only Quezon City and Manila have existing ordinances to address the issue. The call for expanding Republic Act 7877 to cover other kinds of sexual harassment is one of the PCW’s Women’s Priority Legislative Agenda (WPLA) for the 17th Congress. Since the campaign, the proposal has been passed at the Senate, and yesterday was approved at the House of Representatives. In cognizance of the crucial role of the media in ending gender-based violence, the Kapisanan ng mga Brodkaster ng Pilipinas (KBP) issued circular number 018-059 enjoining all its member radio stations to air the radio plugs from November 25 to December 12. The “Macho Choir” was heard all day from multiple radio stations including Tiger 22, ABS-CBN, and GMA7. The Philippine Broadcasting Service-Bureau of Broadcast Services (PBS-BBS) likewise aired the radio plugs in its radio stations nationwide. “We thank the KBP and the PBS-BBS for helping us spread public awareness on sexual harassment in public spaces. In a society where the macho culture and sexism is beginning to resurface, public education is a must,” said Verzosa. “This is consistent with Section 16 of the Magna Carta of Women which provides for the allocation of space, airtime, and resources; strengthen programming, production, and image-making that appropriately present women's needs, issues, and concerns in all forms of media, communication, information dissemination, and advertising,” Verzosa ended.